Prostatitis Diet – Don't consider planning it before reading this! 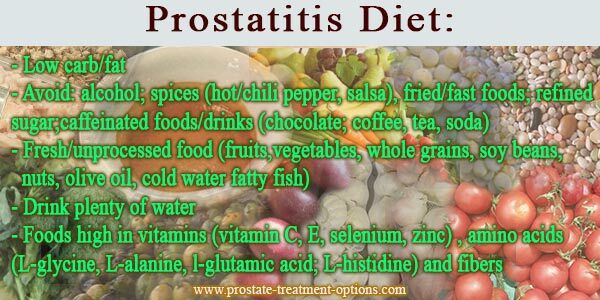 Don’t consider your Prostatitis Diet plan before reading this! Coming to a good diet for prostatitis. First of all, keep in mind that bacteria or candida (responsible for infective prostatitis) need “food” to live and flourish in prostatic tissue. Some specific foods you eat serve as “nutritions” for them as well. Here comes your part (which is the basic of a good prostatitis diet): you must make the bacteria or fungus starve of these foods, in order to get rid of inflammation. In cases of non-infective prostatitis, the principle is to avoid foods that cause allergy or trigger symptoms of prostate problems. Keep in mind to drink large amounts of water in order to increase urination and to prevent stagnation of urine and also help in washing of most micro-organisms. 1 - Always seek for low carbohydrate/low fat diet. Aim for a high protein diet (44% of your daily calories should be from protein, this can significantly lower your risk for prostate cancers). According to New York University's Langone Medical Center, try to avoid foods full of spices (e.g. hot pepper, salsa, and chili pepper), as these foods are proved to worsen prostatitis symptoms. Meanwhile, garlic is a natural potent antibiotic despite its offensive smell. As to be always healthy (not only a healthy prostate), keep in mind to choose fresh and unprocessed foods. Best choices for you are fruits, vegetables, whole grains, soybeans, nuts, olive oil, and cold water fatty fish, like salmon, tuna, sardines, mackerel….etc. Refined sugars, fried and fast foods should be “FOREVER-EXCLUDED”. 2 - Alcohol is known with its bad effect on prostatitis, causing alcohol prostatitis, which is very common. In fact, alcohol can aggravate your symptoms or even trigger it. Alcohol causes dehydration which is contra-indicated if you are suffering from prostatitis. Experts in Penn State Hershey Medical Center advise you to avoid citrus juices as they can irritate your urethra. Also tomato and tomatoes juice can make your condition worse. 3 - Try to eliminate foods and beverages rich in caffeine, like chocolate, coffee, tea, and soda. They cause irritation as well as dehydration. 4 - Be careful of foods that cause food allergies or food sensitivities. According to some researches, allergy is considered as one of major causes of chronic non-bacterial prostatitis. 5 - Drink plenty of water; consider drinking fifty percent of your weight in oz. of water per day. 6 - Eat foods rich in Vitamins, amino acids and fibers. 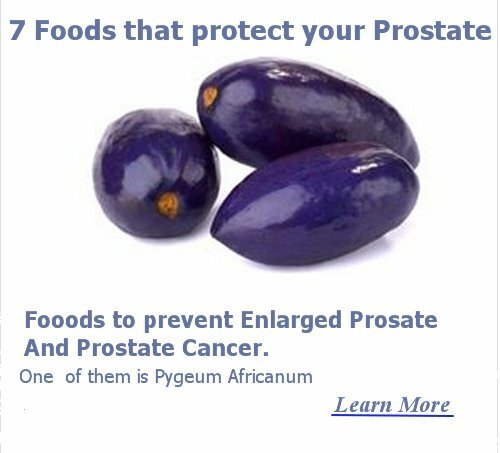 You can always take prostate health supplements to increase the nutritional value for your prostatitis diet. Most important vitamins you should consume include: vitamin c (anti-oxidant, and helps in healing), vitamin E (anti-oxidant and enhances body immune system), and Selenium (trace element which enhances effect of vitamin E). A prostatitis diet must be rich in zinc, which is important for integrity of prostatic tissue as well as its ability to prevent infections. Be careful, taking more than 15 mg of zinc daily can cause TOXICITY. New studies have revealed the efficacy of certain amino acids in promoting the health and function of prostate, like L-glycine, L-alanine, and L-glutamic acid, and L-histidine. 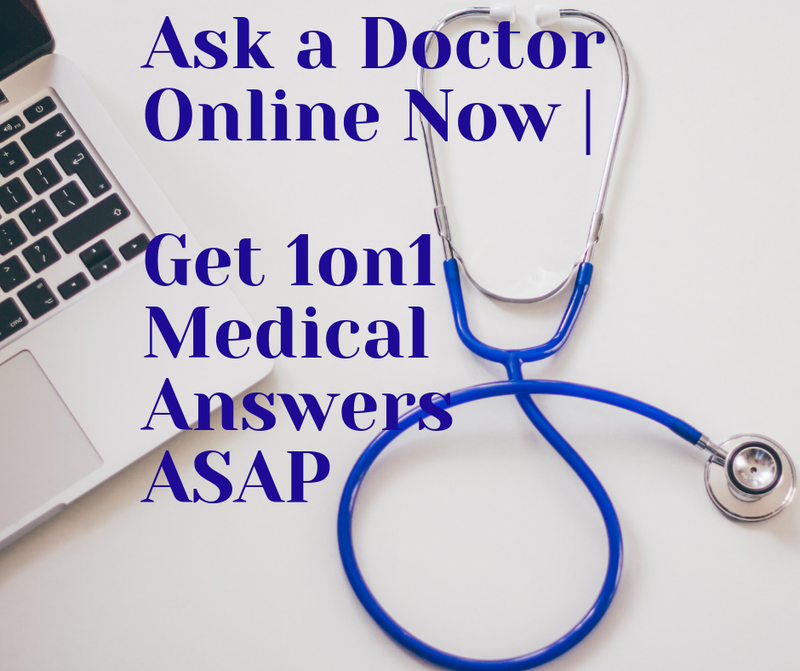 Can I prevent Prostatitis Causes from inflamming my prostate?